A very cool motor home that is not restricted to land. 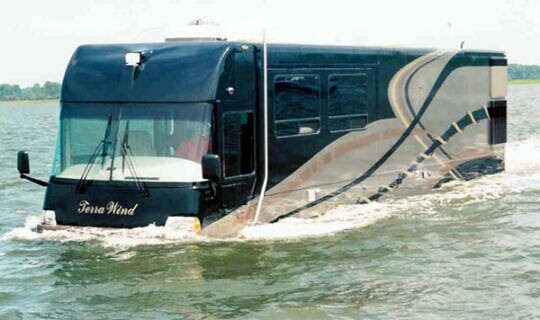 Terra Wind has developed a motor home that can go in the water! The cost of this new amphibious vehicle is compatible with the high end motor homes. Complete with a swimming platform. Hit the lake and swim or go fishing right from your motor home.